All About STEM: Our amazing new team members! If you’re talking #squadgoals, we’ve hit the back of the net! 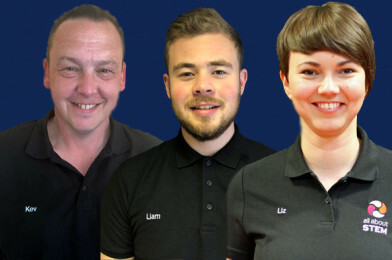 We are so excited to introduce you to three new team members and welcome them officially to All About STEM. Two have been busy in our offices, in schools and working on events for some time. They’ve made a BIG impression already, so it’s definitely time for their formal introduction. One donned his shirt yesterday but if you’re a friend of All About STEM, you will no doubt know his face. 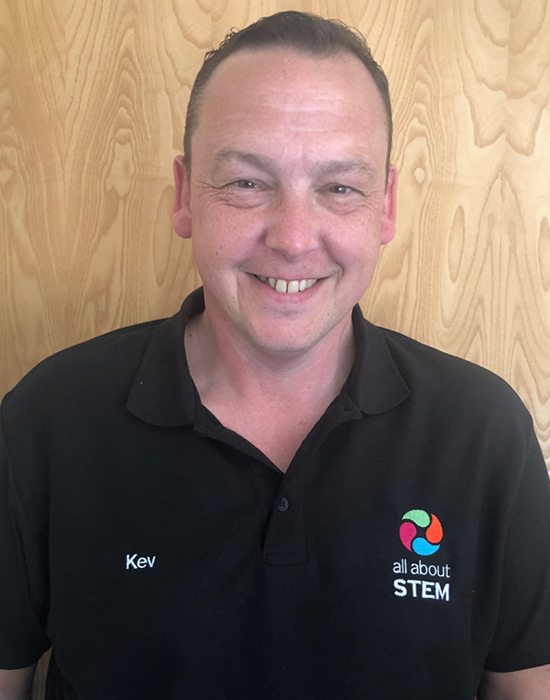 ‘Our Kev’ is a Graphic Designer / Artworker with over 25 years of print experience. The majority of our boss brochures, amazing awards, perfect posters and pop-ups are to his creative credit. We are overjoyed to have him on-board! 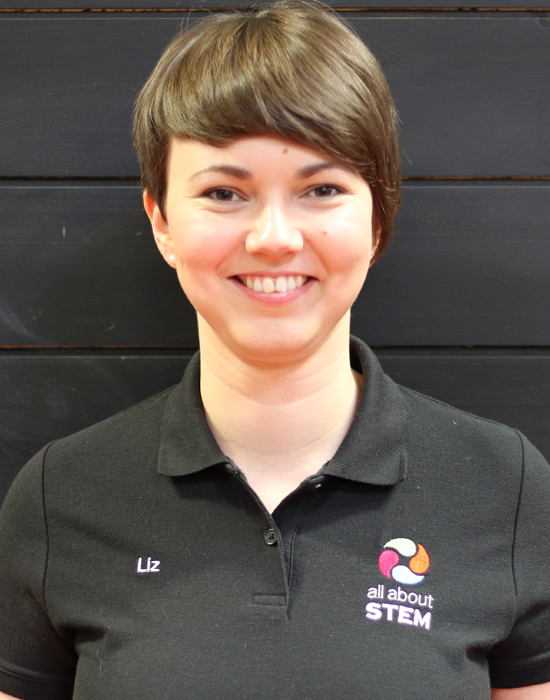 With a degree in business and a background in hospitality and events, ‘our Liz’ provides invaluable support to the All About STEM team and is the first port of call for teachers. She’s the smiling face that connects our schools to who and what they need. Liz loves cooking, walking, travelling and adventures. She’s also worked with the RAF Cadets for years and after becoming a senior officer, she returned as a mentor and supervisor – she’s secretly fierce, go Liz! 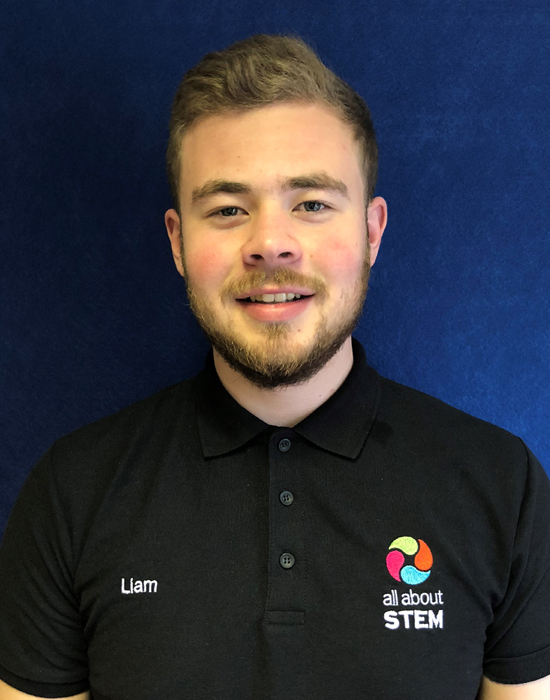 With a background in coaching children, sports education and sales, ‘our Liam’ has the personality and experience to flourish here at All About STEM – he’s a natural when it comes to supporting events, engaging with young people and encouraging them to shine! He’s also showcased his photography skills during many of our events and loves to travel the world in his free-time. All About STEM is constantly developing, growing and reacting to the needs of our schools, to inspire our youth and to provide an exemplary service. We have an extensive offering, big plans for the future and we are always here to help. Our new members are a perfect fit and are already like family. Old or new, we couldn’t ‘make it happen’ without our amazing team!